A fashion of wearing chiffon will never fade. Chiffon fabric is made with the combination of silk, nylon and cotton threads and can be dye in many different shades easily expect the polyester chiffon. It has been a favorite fabric back 3,000 to 4,000 B.C and making it way again in 2000 era. Chiffon Dresses are considered the most luxury fabric and commonly used in high end brands and fashion clothing. It has been used since 1700s in world especially in Europe e just to indicate status and wealth. Chiffon Fabric has been a best choice for everyone for its sheer fabric and soft flowing appearance. Chiffon is easily available fabric in Pakistan and a fabric designers most often choose chiffon due to versatility. 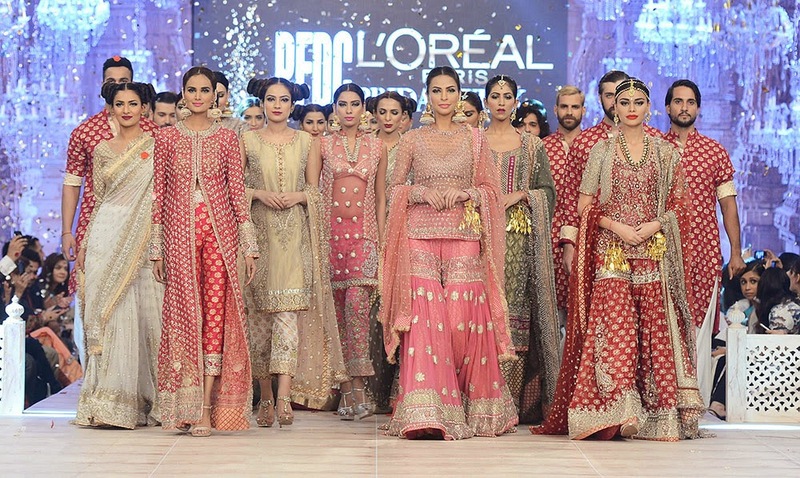 In Pakistan chiffon has been more favorite fabric for parties and wedding wear. There are many kinds of chiffon fabric available at a moment in different range of prices to suit all classes of consumer. If you research a bit you will notice that luxury Pakistani Dresses are mostly available in chiffon fabric, Though many Designer Wedding Dresses in Pakistan tend to use net fabric for heavy bridal attire but chiffon has its own grace and elegance. Most probably it's most lightweight, plain weave sheer fabric which is very suitable for every occasion. Currently three kinds of chiffon mostly use in Pakistan follow by Chinese chiffon, Indian chiffon and Pakistani chiffon. Chinese chiffon is called pure fabric. It's very light in weight and most probably a best chiffon for luxury attires but can not hold heavy embroidery weight when Indian chiffon is more Georgette then chiffon. however, its quite suitable for heavy embroidered work it can easily hold the weight of koora dabka kind of embroidery but it doesn't look and feel luxury. Pakistani chiffon is called PK chiffon and manufacturing in Gujranwala. It's best chiffon fabric so far due to its elegant appearance and capacity to hold heavy work at a same time.